Is it raining, hot, cold, humid? How am I getting there? Am I walking to this place? Riding with a friend? Taking the metro or Uber? After considering all these elements, move to step #2. To look fresh-faced, apply base only where you need it—around the eyes, nose, chin, and over redness or dark spots.Once you have decided on the base, then take step #3. The first thing most people want to contour are the cheekbones. To start, try receding the hollow of the cheek. You can find the hollow of cheek right underneath the cheekbone—there, apply your darker low-light shadow using an angled medium or large brush. Every area you low-light, you want to balance with a highlight. After receding the hollow of the cheek, counter that by making cheekbones stand out. To do that, brush on a frosted gloss or light shadow along the cheekbones, and blend out toward the temple. A basic strategy to slim down the nose just a bit (which remember, may not work on every face). 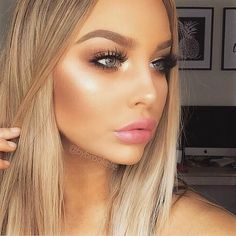 For the nose, use the same low-light shade you used for cheeks. Start at inner corner of brow and apply down either side of the nose. Next, apply your highlight down the bridge of the nose and always use a matte product, even for highlighting. Finally, blend the two together using a brush. To make the eyes pop in two simple steps, start with your low-light. Apply into the crease of the lid and blend well. Then, come in with a highlight, brush right along the brow bone. To low-light, apply your darker shadow below the jaw along the jawline, right where the jaw meets the neck. Then blend down into the neck using a clean brush, so you don’t have a line of demarcation. Lastly, highlight right on top of the jawline, and blend together. Be careful not to go all the way around to the chin here. You want to highlight on the sides, along the mandible.Once you have that covered, take step #4. Why bother with primer? it fills in lines, smooths an uneven texture, and holds foundation in place. So when you need your makeup to last all day (and look amazing), apply it over moisturized skin before your base. On time-crunched mornings when you want to keep it simple, you can even wear primer solo it also corrects skin issues, so you can control shine, get a glow, hide redness—whatever you need! Use concealer over foundation on circles and spots to perfect everything. Especially, if you’re in a rush, just dab concealer where you need to erase skin imperfections without heavy coverage. Wake up your face with blush or bronzer. Smile and apply color to the apples of your cheeks in circular motions. Make sure it doesn’t sit directly under the eyes—that screams too much. Pro tip: use a fan brush to sweep bronzer where the sun would hit your face (cheekbones, nose, and jawline). For eyes apply shadow then liner then mascara. This is the order to follows for applying eye makeup. Always go back and layer. 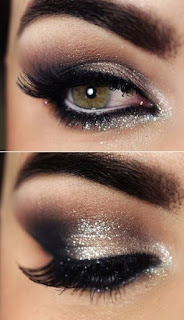 You can always add a little more liner at the lash line, an extra pop of shimmer shadow in the center of the lid, etc. Your lips may need balm first, then liner, then a neutral lipstick, and of course, use gloss only if you want! Add some sparkle and personality to your look with glitter or shimmer. If you need makeup advice, let us know. 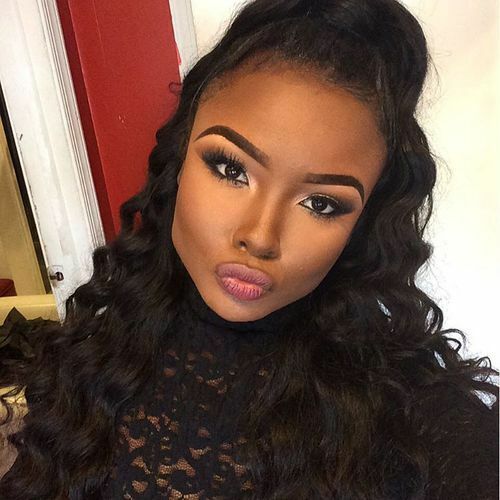 You can join our free my personal makeup artist membership here.